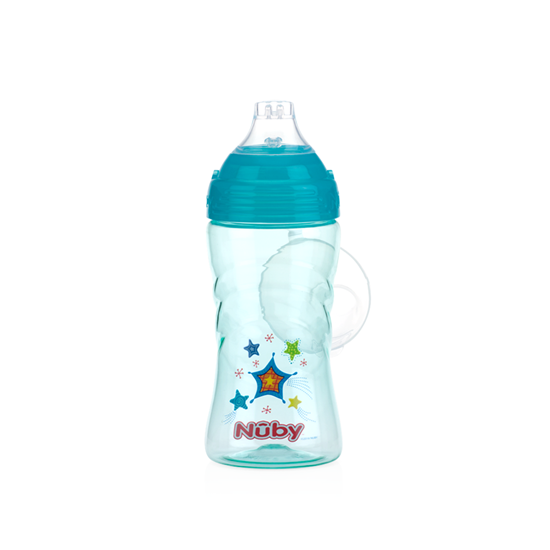 Perfect for thirsty kids on the go and hygienic cover keeps spout clean and keeps your baby happy and safe. The soft silicone spout is uniquely designed to prevent drips and spills while being delicate and gentle to baby’s gums and emerging teeth. The pressure sensitive TOUCH-FLO™ feature regulates fluid intake with sucking action of child. When sucking action ceases, the spout closes, ensuring a leak-resistant cup. The cup is made from break-resistant Tritan™ plastic from Eastman.12+ months for baby use perfectly and Perfect for thirsty kids on the go and No-Spill™ spout with TOUCH-FLO™ valve and designed for easy gripping.